Xtreme Street brings racetrack-developed technology to your road car. 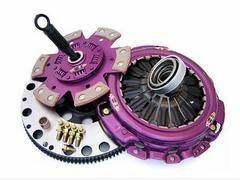 We have performance clutch systems for street vehicles, ranging from heavy-duty organic systems, with OEM (or sometimes better than!) levels of drivability, right through to track-driven road registered race cars. The Xtreme Drag Clutch was created to meet the most rigorous demands of quarter-mile racing. From Street/Strip weekenders to high-horsepower dedicated competition vehicles. Maximum grip. Maximum traction. Maximum horsepower. 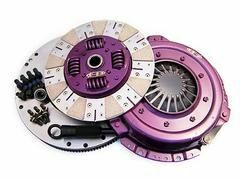 Xtreme Rally and Outback clutch kits also available along with Xtreme flywheels. Xtreme delivers with organic, ceramic, carbon, and sintered cerametallic advanced friction materials in single and multi-plate configurations. Xtreme builds and repairs drag clutches in diaphragm, lever, and 'slipper' type formats, to give YOU the edge.